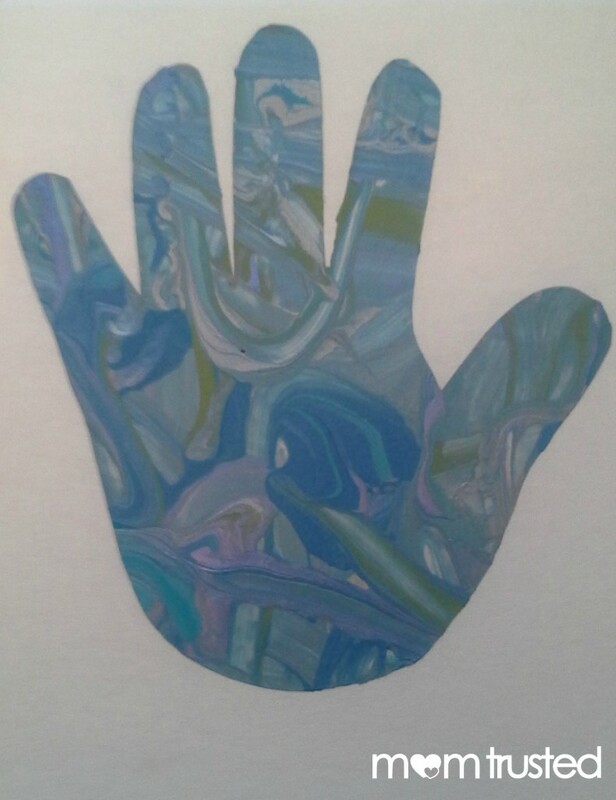 Make a framed painted handprint…just in time for Grandparent’s Day!! 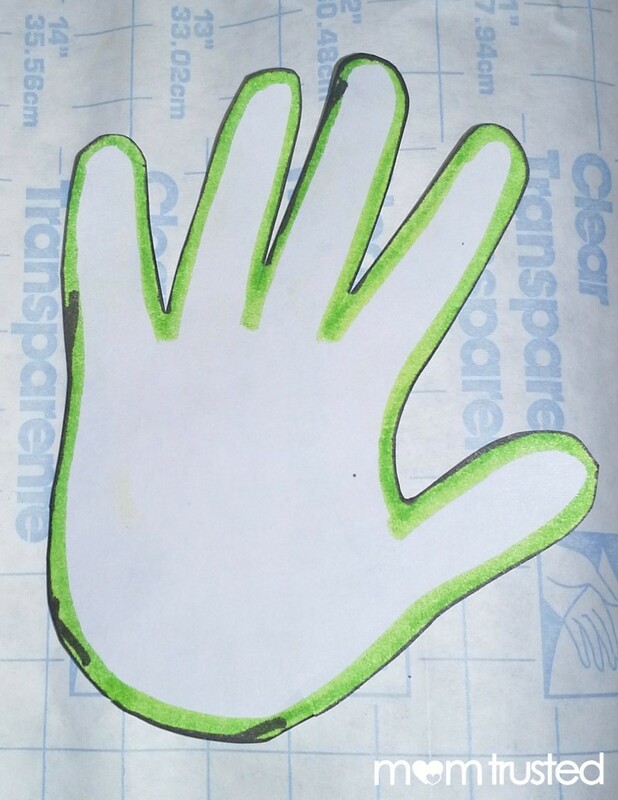 STEP 1: Trace your child’s handprint onto the contact paper and cut it out. If your child can use scissors, have him/her cut out the handprint. 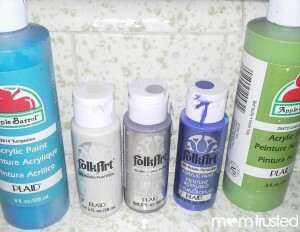 STEP 2: Peel the backing off the contact paper, and position handprint wherever you (or your child) wants in on the canvas or poster board. 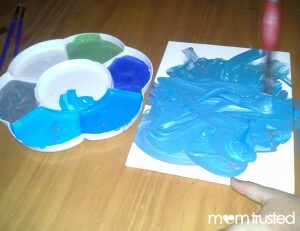 STEP 3: Give your child paint (and optional paintbrush) and the canvas or poster board. Sit back and let your little artist paint away. 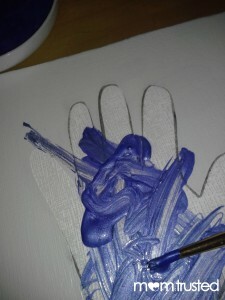 STEP 4: Once the paint is completely dry, very carefully remove the contact paper from the canvas or poster board. You may need to use something sharp, like scissors, to help get it started. 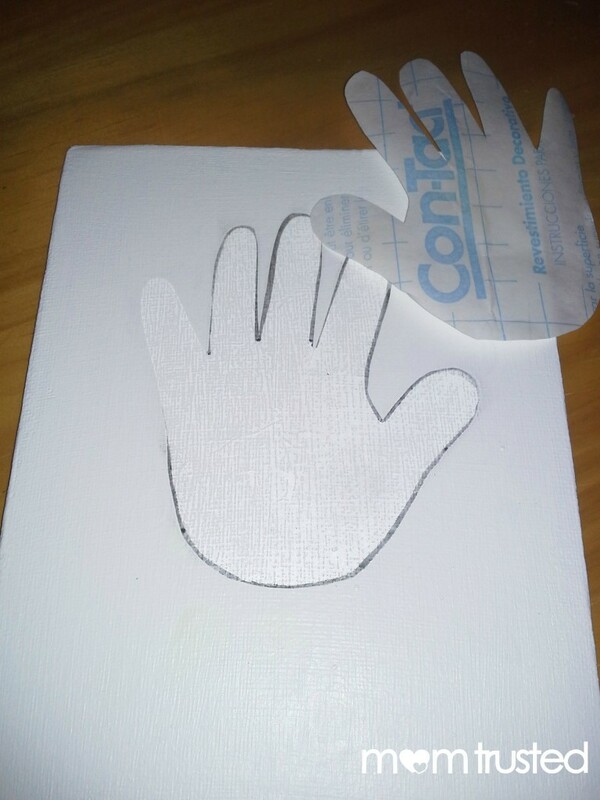 STEP 5 (Option 1): You can take the painted contact paper handprint that you remove, and position it on a piece of cardboard and place in a frame. This would be a great option if using colored matting. (Option 2): After peeling the contact paper away, simply place the canvas or poster board inside the matted frame. STEP 6: Have your little one help wrap it or merely place in a gift bag. VIOLA!! A priceless, professional-looking gift that will keep for years to come. This is also a great homemade gift idea for Christmas, Mother’s Day, or Father’s Day.